I thought Essley was excited for the holidays last year, but this year puts last to shame. She turns 3 on December 28th, and this is the first holiday season where she really gets it. It’s not even Thanksgiving yet and it’s basically all she talks about. From Santa Claus and Christmas trees to holiday songs and movies to holiday treats, she is obsessed. 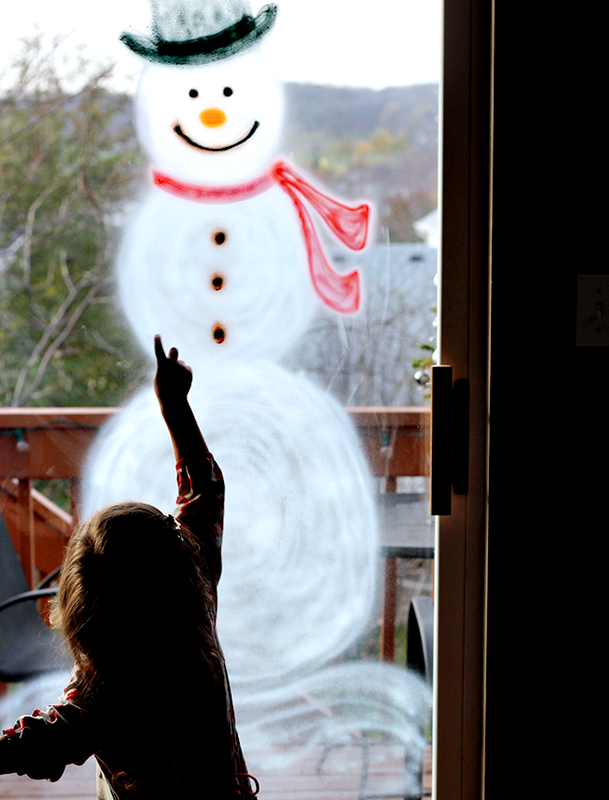 But her favorite holiday symbol, one about which she speaks almost incessantly, is the snowman. 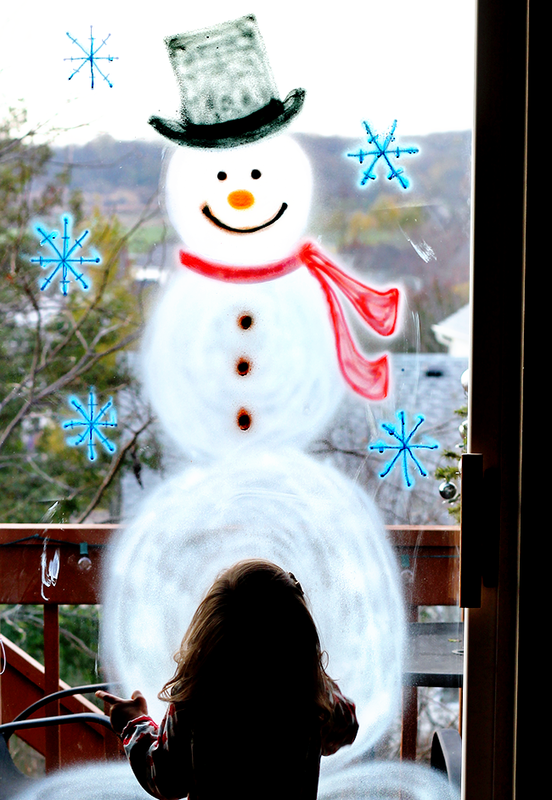 And more than anything, she loves to draw snowmen, and for her dad and I to do the same. 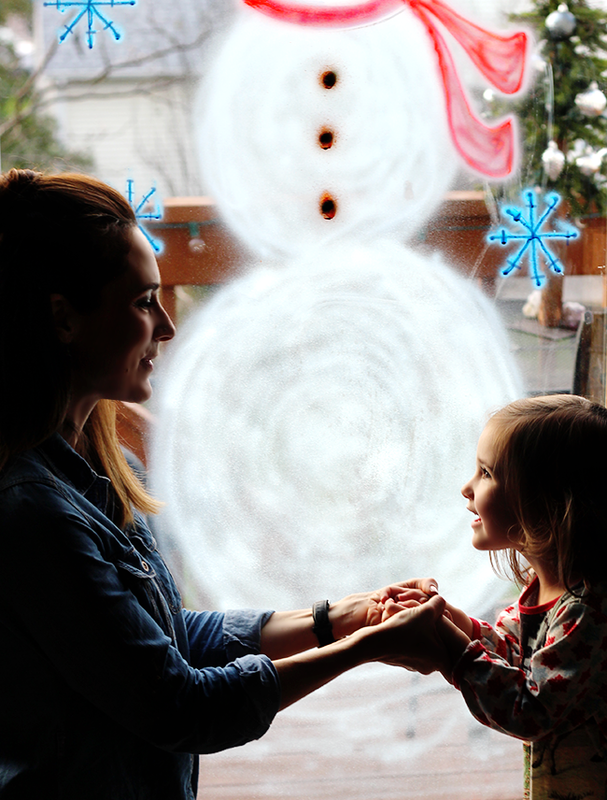 So I had an idea of how we could incorporate three things she loves – art, holiday decor, and, of course, snowmen – into a fun creative project that would likely blow her little mind. 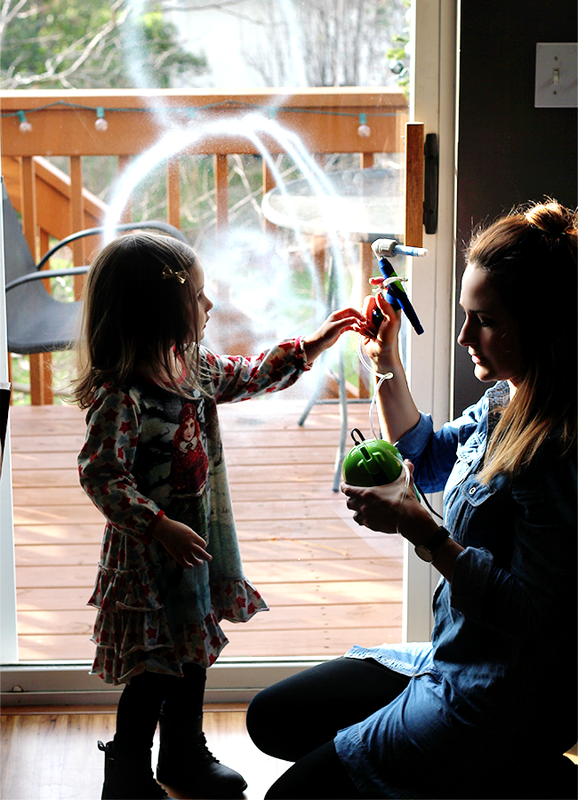 The first thing we did was sat down with our supplies and picked out our colors, and then Essley practiced putting markers into the Air Marker Sprayer. Then we got to it! 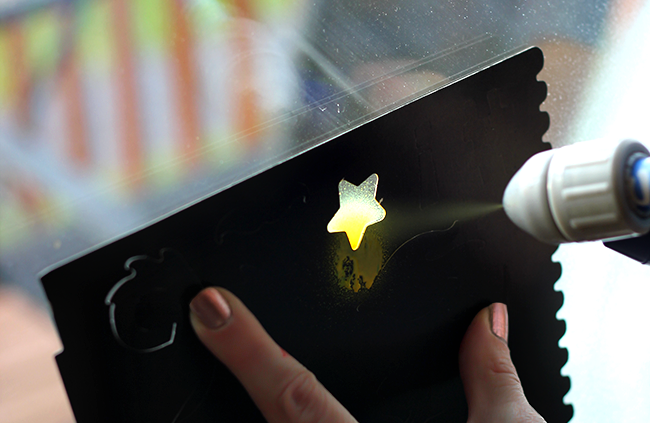 This thing is the absolute coolest you guys – all you do is plug it in, insert a marker (the spray nozzle is compatible with all Crayola Broad Line Markers, not just the Crayola Window Markers we used), push the on button, and spray. 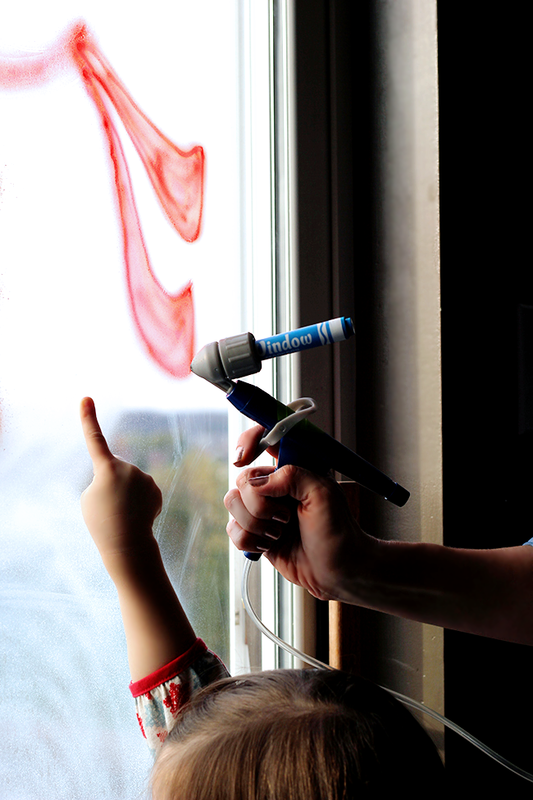 There’s no messy paint involved. Just markers. I was amazed. We started by making the outline of the snowman together, and then Essley worked on coloring in it. 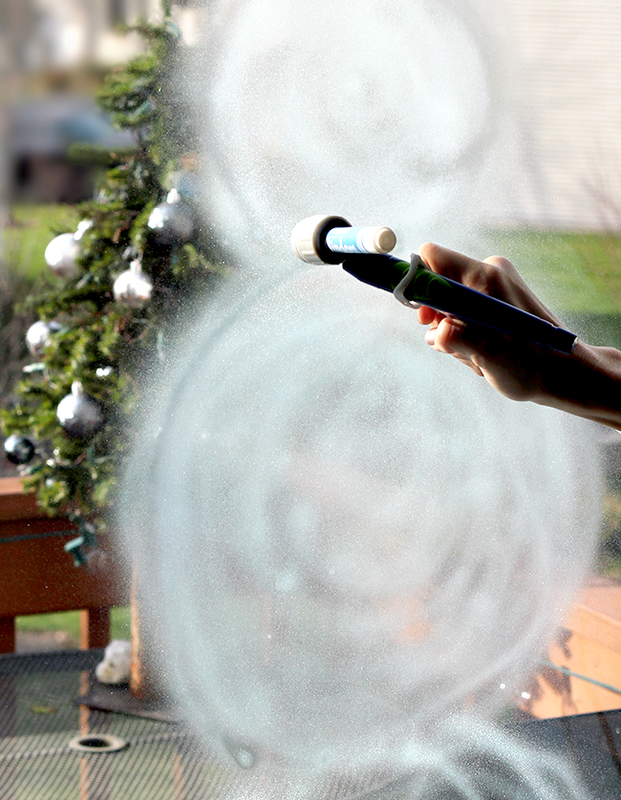 It was obvious that the Air Marker Sprayer was designed with kids in mind – it’s so easy to use and I know that even beyond the holidays (and beyond windows; it can be used on paper and many other mediums to create endless craft projects) it’s going to make for hours of continuous creativity. We didn’t look at any pictures while we designed, and instead just made things up as we went along, which added to the adventure. Essley very endearingly instructed me to add buttons, and a red scarf, and an orange nose, and finally, a big hat. Then she decided we needed some blue snowflakes, of course. 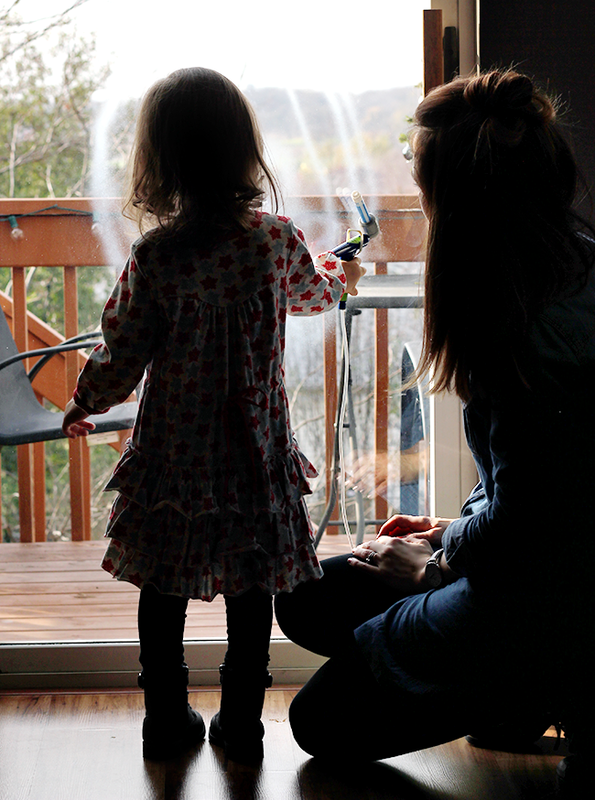 It was really fun to experiment with the Air Marker Sprayer and see how moving it close to the window and/or far away could create different effects. Clean up was a breeze too. 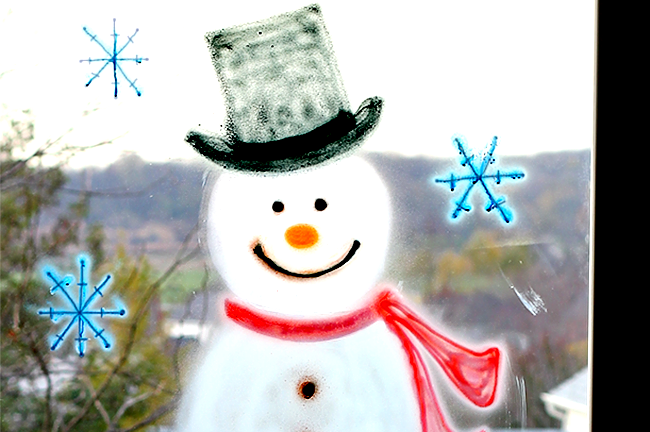 And for people who had never airbrushed in our lives, I was admittedly impressed with how our snowman turned out. He’s still going strong too. He gets a big hug from Essley in the morning and before bed, and she fondly named him Art Project Frosty, which I think is simply perfect. 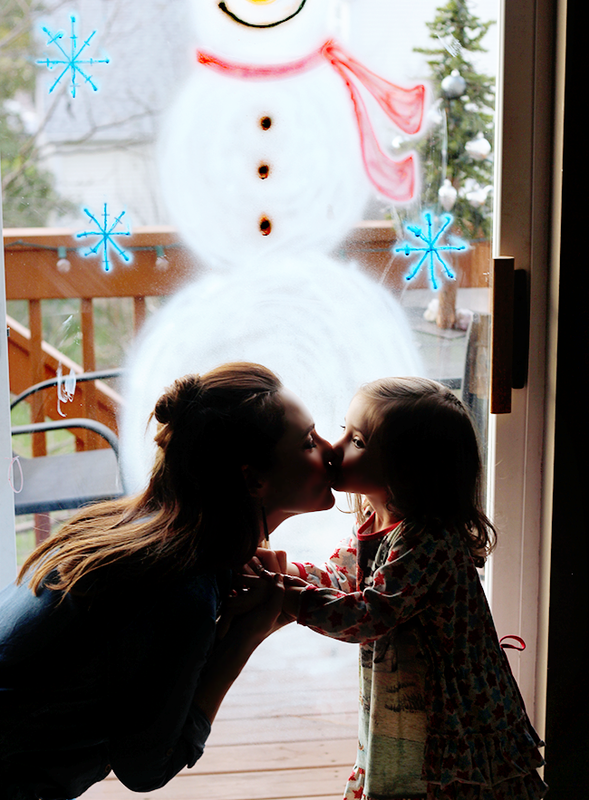 Essley and I both had so much fun creating our holiday window display together, and we’re both looking forward to designing another one soon. It was really cool to get to create something holiday themed together that went beyond just a piece of paper, or even traditional holiday decor. And I love that you can see it from outside too! 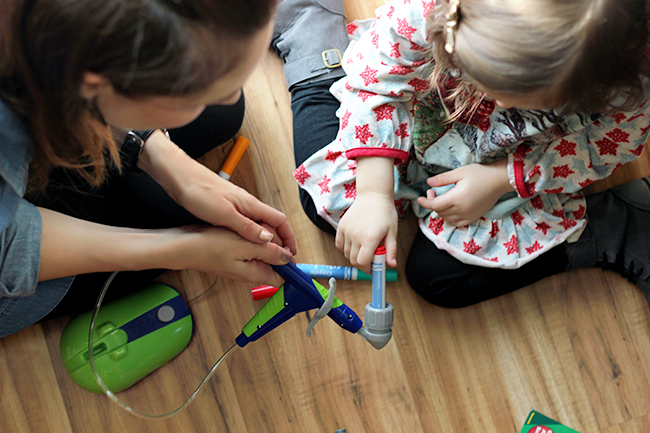 If you have little ones who are excited for the holidays, and/or if you’re excited for holiday decorating and want to do something unique this year, grab a Crayola Air Marker Sprayer (they’re only is $ 29.99 and come with 5 Pip-Squeaks Markers, 10 sheets of paper, and 2 stencil sheets) and some Crayola Window markers, and decorate your own holiday window. I’d love to see your creations! 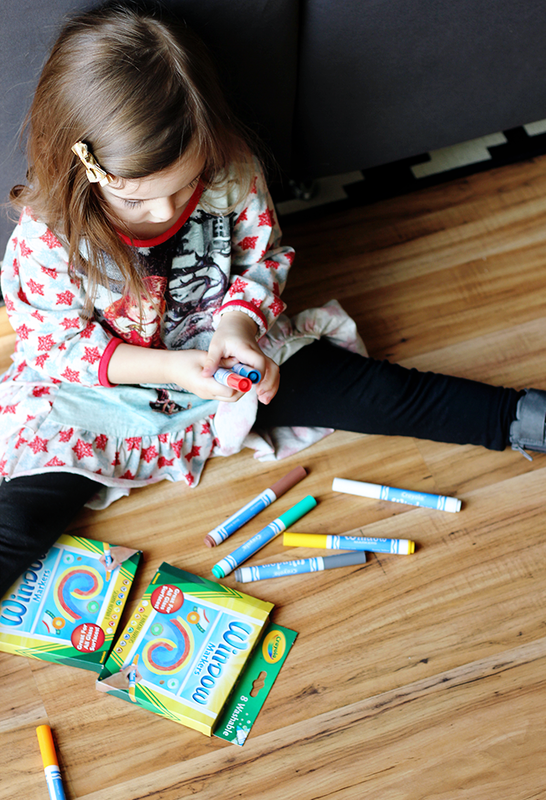 And if you share them on social media, make sure to tag them with #AirMarkerSprayer for a chance to be featured on Crayola.com. Happy holiday decorating!